It feels like my sister and I are the last to visit Santorini, such is the extensive coverage I see of it on Instagram and other social media. The “little white houses” as my sister calls them, set against the beautiful, velvety-blue backdrop of the Aegean Sea, is something we were longing to experience. 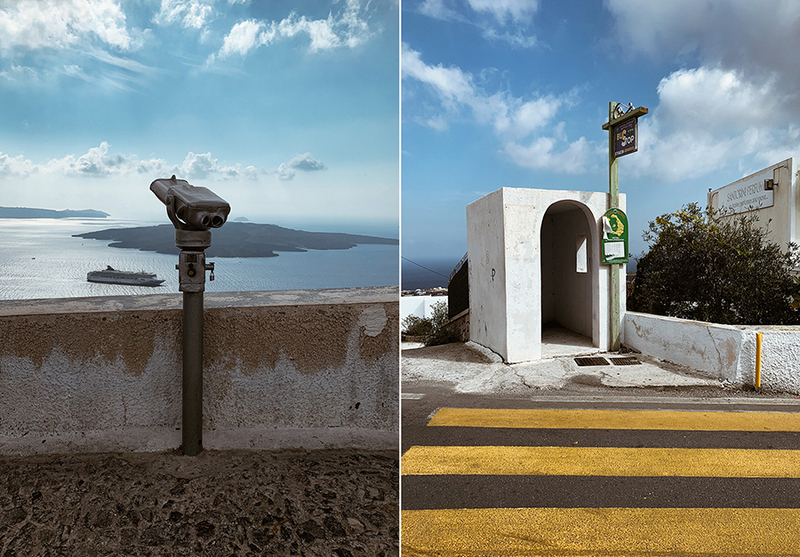 Oia, the picturesque town at the northern tip of the island, seemed destined to leave us with lasting memories. We arrive at Canaves Oia Epitome in total darkness. It’s 6am, we’re tired, hungry and slightly dishevelled but full of anticipation and excitement to see the incredible hotel that we had peeked at online. We’re warmly greeted in the lobby by the front office staff, dressed head-to-toe in super-chic white uniforms, who informed us that check-in was at 3pm and our room wasn’t ready yet. Oh no! We had managed to arrive a good 8 hours before check-in started, and 2 hours before breakfast was to be served. We left our luggage at reception and went off to explore the hotel. 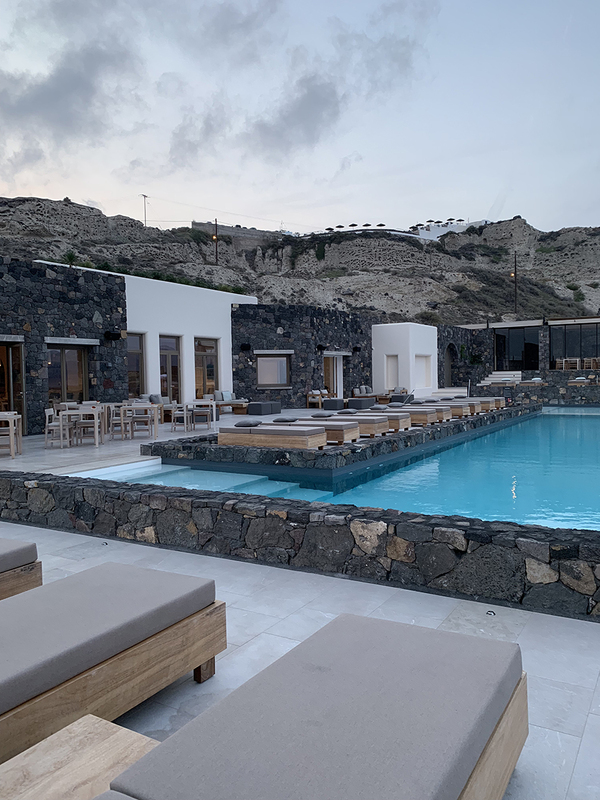 We stepped outside to the main social area which features stunning stone walls sitting in perfect harmony with the aquamarine waters of the infinity pool and the well known bleached-white cycladic architecture that Santorini is so famous for. It’s luxuriously decorated with wood interiors, marble floors and a soft grey colour palette for the furnishings. The combination of earthy, natural materials with sleek modern furniture is exquisite and helps create an air of tranquility and calmness around the property. You can tell every single segment of the space had been analysed and designed to meet the guest’s needs. The ocean view was unlike anything we had seen before and offered us an uninterrupted view of sunrise (and later sunset) that was so lusted after on the Island. The hotel takes great pride in saying that they’re the only hotel in Santorini that offers every room – not just the most expensive – guaranteed sunset views every night. The delightful Maria notified us that we had been upgraded to a one bedroom villa complete with a private pool. The euphoria was real at this point and any kind of tiredness we were feeling had long since left the building. She talked us through the amenities of the hotel such as the spa, gym and restaurants, recommendations on what to do during the day and where to eat etc. She then very kindly provided us with an early breakfast basket, full of fresh bread and pastries, the first of a 5 course complimentary daily-changing breakfast guests receive each day. She also offered us the opportunity to stay in an unoccupied room for the first few hours to catch up on some sleep until our room was ready and although we politely declined in order to not be a nuisance to the hotel, we greatly appreciated the thoughtfulness and generosity of the offer. Something that we would become accustomed to for the remainder of our stay. We showered and freshened up downstairs in the gym’s changing rooms before coming back up to enjoy the rest of our breakfast. 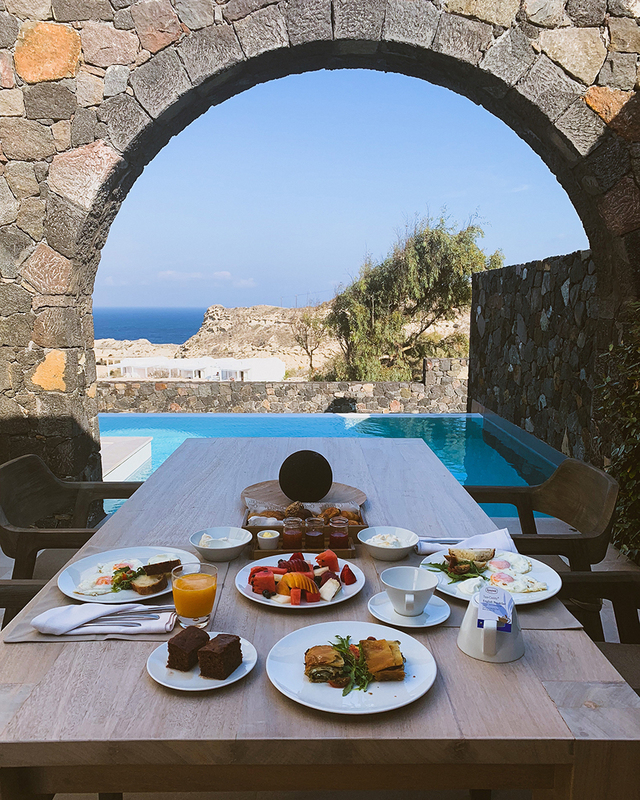 We had our first day’s breakfast in the open plan dining room area amongst the other guests and our second (and last day’s) breakfast from the comfort of our villa while basking in the sun. While planning our day we realised that we had starved our phones of charge and there was no way we could go out to the heart of Oia for the first time without taking at least a hundred photos because if you don't take photos, were you really even there? Christina, the hotel's general manager, sensing the predicament we were in approached us and offered us a fully charged battery pack for us to use for the rest of our stay. Small moments like this are what make a hotel stand out. 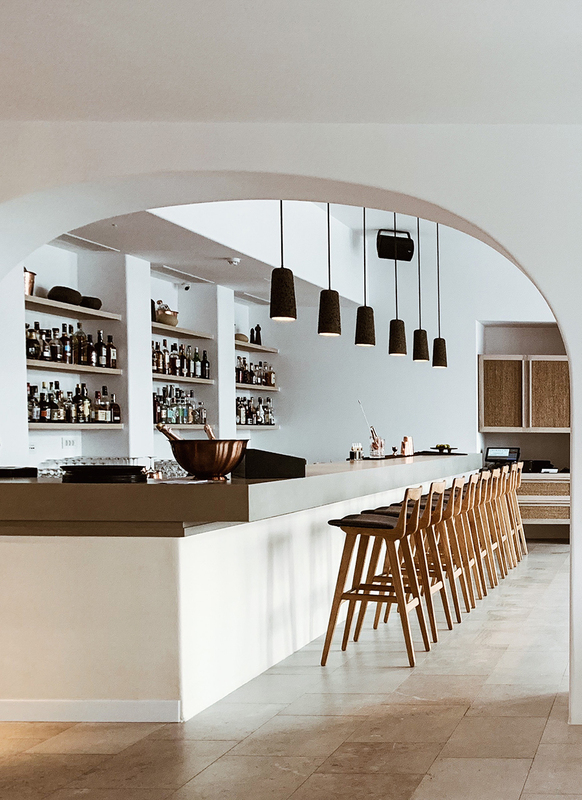 The attentiveness of the staff and unmatchable hospitality at Canaves Oia Epitome are what set it apart from the rest and is something I will always have fond memories of. We took Christina up on her kind offer and were whisked up the hills into the nearby bustling centre of Oia via the hotel's complimentary car service driven by charming chauffeur, George, who would later collect us whenever we wanted. Oia is everything we expected and more, around every corner of the winding paths and ample steps is a more beautiful view than the next. You will never want to put your camera down as photo opportunities are aplenty, in fact there can be no such thing as a bad photo here. We enjoyed a spectacular lunch sitting outside in one of the many restaurants while overlooking the deep-blue Aegean sea. We’re in Greece! Surely we have to try the seafood, I said. My sister, not the greatest of seafood lovers, stood firm and had spaghetti while I opted for the grilled octopus which was divine. While taking in the sun and sipping on our mojito mocktails we concocted a plan for tomorrow, our last day, and decided we would visit Fira, the Island's capital and most cosmopolitan settlement. But first things first.. we had yet to see our villa! When we arrive back to the hotel we're guided to our villa, I say villa but it's more akin to a mini palace, which features the same dreamy interiors as previously mentioned. High ceilings, marble floors, clean crisp sheets, it's luxurious yet cosy and lacking in pretension. 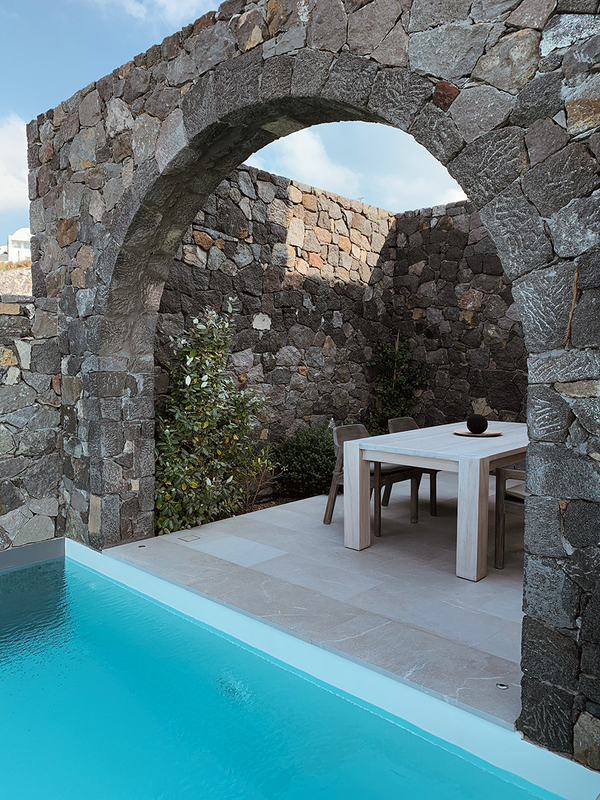 Forgetting the private pool for a second, the outside dining area, with it's natural stone walls, plants and grand arch overlooking the pool and terrace, is perhaps my favourite spot. The pool, of course, is a highlight. The L shaped beauty features white mosaic tiled stairs and is large enough to enjoy a fully stretched swim. It’s also heated so you can enjoy it in the evenings which we duly did, it would be rude not to! There’s an outside shower, sun loungers and sofa area to relax in while you take in the ocean view. We visited Fira on our final day and enjoyed a leisurely walk along the cliffside trails overlooking the volcanic islands of Thirassia, Palea Kameni and Nea Kameni. No amount of photos compare to the feeling you experience. With too many shades of blue to count, perfectly formed islands, the glistening ocean, the whimsicalness of the sky, it’s at times like this when you truly appreciate Earth. We gazed into the distance and watched as cruise ships went by, it was almost as if time was standing still and the ships were the only things moving. Afterwards we managed to fit in some shopping before travelling back to the hotel to take in the final sunset. 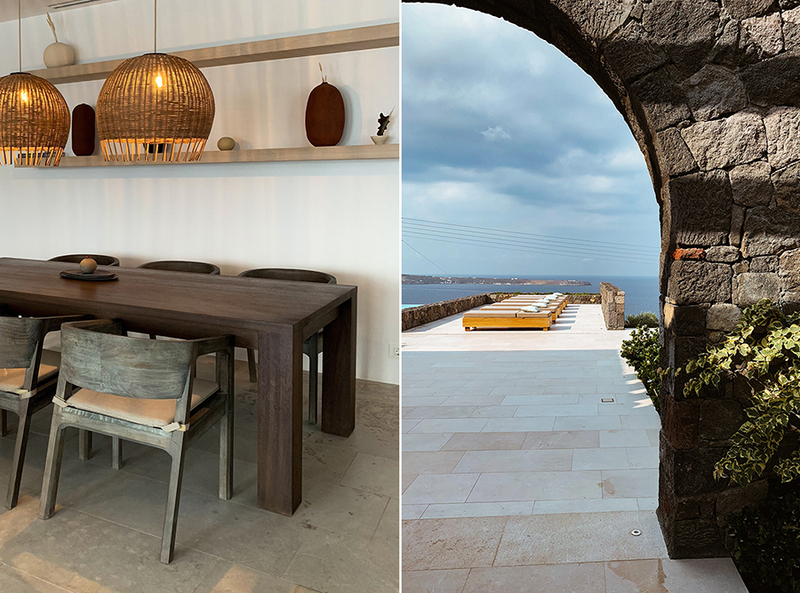 If you come to Santorini, you will not want to stay anywhere else other than Canaves Oia Epitome. It truly is the epitome of luxury. Rates at Canaves Oia Epitome start from £348.82 per night on a bed and breakfast basis. Please note the hotel is closed from 20th October to 30th April every year.